The White Trash, Two Heebs, and a Bean album was my street riding anthem. 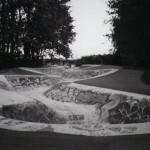 Growing up in The Couve (Vancouver, WA) with my Moron Bros Spencer and Austin McCabe we’d listen to the album and ride street. Those were some of the best years of my life. Jammin’ out to NOFX, drinking Jones Soda, going to shows, and riding street. “I’ve Got The Straight Edge” was our PMA. 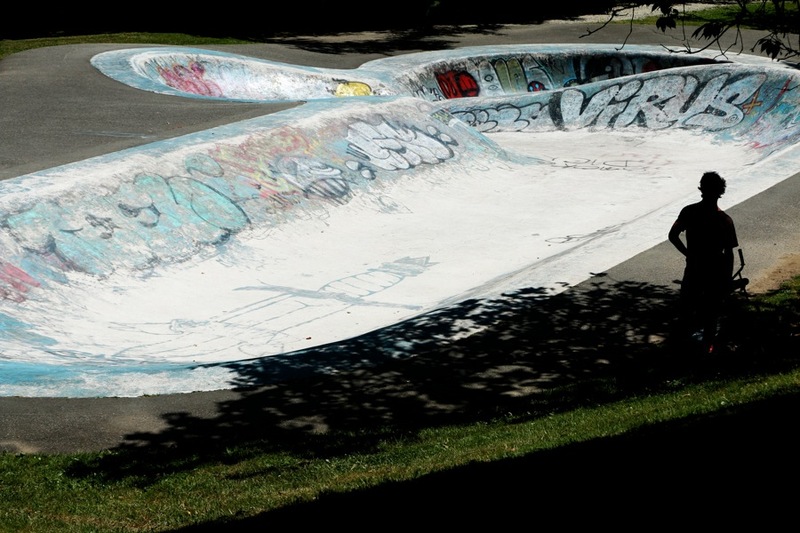 Recently, I made my way to Canada to shred some pools with the Vancouver locals. During my stay I hooked up with Corey Walsh, Josh Zylstra, and Santi Martinez. Josh and Corey have been holding down the Canadian Pool Service for a couple years now in North Van and I’m really hyped on the scene that their building. Santi is from Switzerland and he’s currently traveling thru North American shredding any concrete structure that comes his way. The first pool of the trip was a cancer kidney barge. We had to sneak in quietly since we were in the middle of suburbia and the neighborhood watch was on the lookout. After taking a couple runs I pulled out my camera and started to shoot some photos of Corey. I quickly learned two things while photographing the Canadian Race Champ. Make sure to increase your shutter speed and take three steps back cause he’ll blast out of frame. Corey’s shallow/deep end pump is pretty incredible and it was definitely a treat to watch him ride. 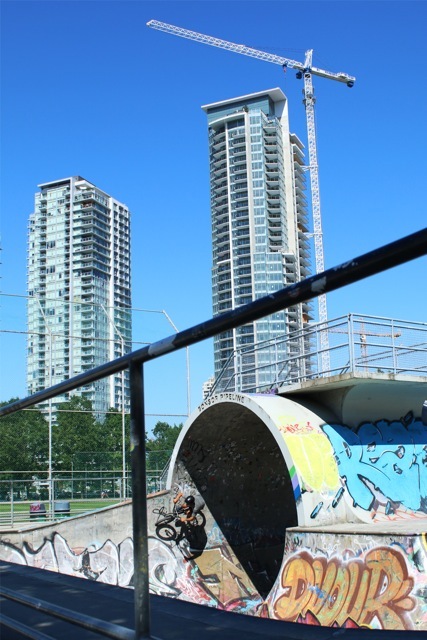 The next few days we continued to shred backyard pools, concrete skateparks, and Canadian beer. Thanks to Josh, Corey, and Santi for all the Canadian/Swiss hospitality. “There’s STILL Something Sticking In My Eye” and I’m okay with that! This entry was posted in Photos, Trips and tagged BC, British Columbia, Canada, corey walsh, Dean Dickinson, Josh Zylstra, pools, Santi Martinez, Vancouver. Bookmark the permalink.